A bit of a wordy title, huh? What is server side rendering? 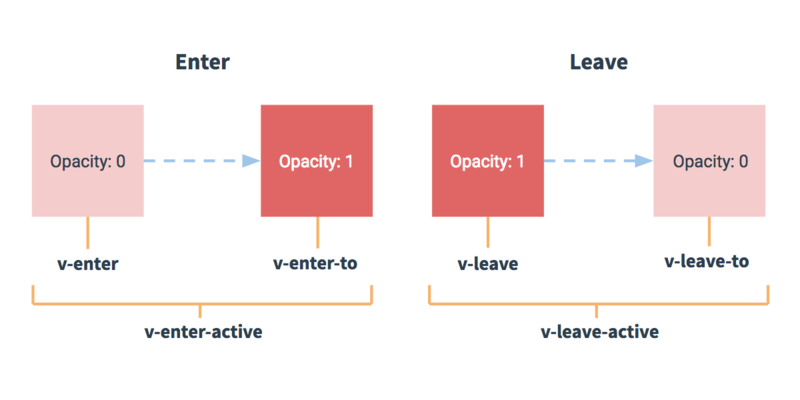 What does it have to do with routing and page transitions? What the heck is Nuxt.js? Funnily enough, even though it sounds complex, working with Nuxt.js and exploring the benefits of isn't too difficult. Let's get started! Server side rendering sounds pretty nice, but you're probably wondering if it's difficult to set up. I've been using Nuxt.js for my Vue applications lately and found it surprisingly simple to work with. To be clear: you don't need to use Nuxt.js in particular to do server side rendering. I'm just a fan of this tool for many reasons. I ran some tests last month and found that Nuxt.js had even higher lighthouse scores out of the gate than Vue's PWA template, which I thought was impressive. Let's set up a basic application with some routing to see the benefits for ourselves. Let's take a look at what's creating this initial view of our application at this point. We can go to the `pages` directory, and inside see that we have an `index.vue` page. If we open that up, we'll see all of the markup that it took to create that page. We'll also see that it's a `.vue` file, using single file components just like any ordinary `vue` file, with a template tag for the HTML, a script tag for our scripts, where we're importing a component, and some styles in a style tag. (If you aren't familiar with these, there's more info on what those are here.) The coolest part of this whole thing is that this `.vue` file doesn't require any special setup. It's placed in the `pages` directory, and Nuxt.js will automatically make this server-side rendered page! Right away, we have server side rendering, routing between pages (if you check out the URL you can see it's going between the index page and product page), and we even have a sweet little green loader that zips across the top. We didn't have to do much at all to get that going. You might have noticed in here, there's a special little element: <nuxt-link to="/">. This tag can be used like an a tag, where it wraps around a bit of content, and it will set up an internal routing link between our pages. We'll use to="/page-title-here" instead of an href. Now, let's add some transitions. We’ll do this in a few stages: simple to complex. You'll also notice a few other things in this nuxt.config.js file. You'll see our meta and head tags as well as the content that will be rendered inside of them. That's because we won't have a traditional `index.html` file as we do in our normal CLI build, Nuxt.js is going to parse and build our `index.vue` file together with these tags and then render the content for us, on the server. If you need to add CSS files, fonts, or the like, we would use this Nuxt.js config file to do so. This scoped tag is pretty cool because it will apply the styles for this page/vue file only. If you have heard of CSS Modules, you'll be familiar with this concept. Now, let's say we have a page with a totally different interaction. For this page, the movement up and down was too much, we just want a simple fade. For this case, we'd need to rename our transition hook to separate it out. The other thing we have available to us are transition modes. I'm a big fan of these, as you can state that one animation will wait for the other animation to finish transitioning out before transitioning in. The transition mode we will work with will be called out-in. All of the code for these demos exist in my Intro to Vue repo for starter materials if you're getting ramped up learning Vue. One thing I want to call out here is that currently there is a bug for transition modes in Nuxt.js. This bug is fixed, but the release hasn't come out yet. It should be all fixed and up to date in the upcoming 1.0 release, but in the meantime, here is a working simple sample demo, and the issue to track. You'll notice I'm using that <nuxt-link> tag again even though it's in another directory, and the routing will still work. But that last page has one extra attribute, the exact attribute: <nuxt-link exact to="/">Playfair</nuxt-link> This is because there are many routes that match just the `/` directory, all of them do, in fact. So if we specify exact, Nuxt will know that we only mean the index page in particular. If you'd like more information about Nuxt, their documentation is pretty sweet and has a lot of examples to get you going. If you'd like to learn more about Vue, I've just made a course on Frontend Masters and all of the materials are open source here, or you can check out our Guide to Vue, or you can go to the docs which are extremely well-written. Happy coding! This looks like a really easy way to get into js rendering and routing (especially for someone who is already interested in Vue.js), but I wonder if you’re going to talk more about deployment? How do we get this up and running on a server? How does someone integrate with a CMS like WordPress or Craft to populate the templates? Now that most CMSes are able to output a JSON REST API natively, more resources that bridge the gap between CMS and these impressive front-end technologies would be welcome. You read my mind! Deployment articles are indeed in the works :) I have a couple more OSS projects in my backlog to complete first, but know that they are on the way! You’ve raised a great question! It’s one of the challenges to solve when it comes to working with these sort of tech stacks. It also depends on what sort of implementation you need. A lot of people are using Nuxt to generate a static site. You aren’t locked into doing so, you can just build a typical Vue project (with magic Nuxt powers), though static generation is a great option for many use cases. Nuxt is using Webpack + Vue Static Generation + a dash of magic for the generation. (Also, if the term ‘static’ throws you off, check https://jamstack.org/ to get an idea of what I’m talking about). We wanted a familiar CMS atmosphere for content editors, and we also wanted to have full control over shaping RESTful endpoints to serve exactly what we wanted, and WordPress fit the bill. Many other solutions exist and are competing in this sphere (see: Contentful, Cosmic JS, DatoCMS), but they weren’t flexible enough for the complexity of our needs. All of our data lives in WordPress (maybe yours lives in Craft? I hear awesome things about Craft these days). When we’re developing locally we have some node scripts that pull in all the data we need and generate some JSON. We then (deep breath) spin up a local content server using Zeit’s Micro server and use that to load data into the Vuex store via the NuxtServerInit hook. Utilizing Vuex conventions, we fill any data needs for all our templates (I’m going to refer to templates as components from now on). When we prepare a production deployment we skip the JSON step and do a fresh pull from the WP REST API. The deployment goes through a CI pipeline on Gitlab and then gets deployed to Amazon Web Services where it’s served via Cloundfront (CDN) + S3 (static hosting). Another way of getting data into a component is using the awesome Fetch component hook that is built into the Nuxt environment (again, that’s going to fill the Vuex store with data, so it’s similar to using the NuxtServerInit hook). There’s also an Async Data hook that comes with Nuxt. The async data hook works outside of the Vuex store and it’s pretty awesome, but I like working with Vuex and I try to implement the same patterns for data flow with all my data. I’ve left out many details, but you can Google many of the terms above and find great documentation on all those topics. I’ll post some links below too and keep my eye on this thread. We needed some pretty specific stuff and so the whole process is a bit involved (albeit pretty easy once you’re familiar with the tools, and there’s a great deal available to automate), that being said there are plenty of straight forward solutions for doing easier deployments and hosting (Example: Netlify). Btw big thanks to Sébastien Chopin, Alexandre Chopin, and Pooya Parsa for the work you are putting into Nuxt, keep going! They all respond on the Nuxt github issues as fast as they can and are very helpful. And thanks Sarah for the great article! I look forward to gettin’ fancy with animations at the next web animation workshop you’re putting on in September. Lemme know if I can try to clarify any of this stuff Dalton! Thanks Jason, that is great information. It’s a lot to take in but it’s great to hear that people have gone down this path before and there are a lot of resources available. And yes, Craft. Is. Awesome. I find the content modeling to be much more flexible than WP, the plugin architecture is straightforward, the documentation is consistent and sane, and the interface is streamlined and easy for clients to manage. We’ve been building more traditional sites with PHP/Twig templates but we’ve incorporated the Element API into a few projects and I’d like to move toward building entire sites on top of the API sometime soon. That’s great to hear Dalton! If your content models are at all dynamic or complex the CMS and pipeline portions of theses builds are critical. I’ve looked at Craft a tiny bit more and I like the look of it. With simple models and a smaller amount of data I really like the Netlify product, especially integrating the Netlify CMS. For processing something server-side (like sending email from a contact form, authorization, etc), I try to go with a Function-as-a-Service product. Something AWS Lambda-esque. Does your Navigation component need to be wrapped in a <template> tag? I’ve been waiting for a recent, straightforward-looking Nuxt.js tutorial for weeeeeeks. Excited to dive into this. Great article Sarah. Thank you! Really nice article Sarah! Been trying out some stuff with Nuxt and I really like it. What would you recommend for building a contact form with node and integrate it to the Nuxt project? Thanks for sharing that info Jason, and thanks Sarah for the awesome post. Now, what about deploying to a dedicated server? I’ve been developing with vue for a few months now and I’ve encountered a very common yet hard to solve issue, social sharing on facebook and metatags. The issue is I can’t set the metatags to get a good preview of dynamic views on facebook on the front-end, so I’ve been investigating SSR for a while now. I’m trying to deploy a nuxt app on my dedicated server via SSH, but i’m having trouble figuring out how, anyone knows where I can find information about how to do this? Nuxt docs do address the issue of deployment but they cover only a few use cases. Meta tags in SSR are a little different- you’ll see you’ll need to add them in your nuxt.config.js file. I also use the facebook open graph debugger because I’ve found my social sharing og links usually need to be run through there first before anything takes: https://developers.facebook.com/tools/debug/ Twitter is a little more on-the-ball in this aspect. I hope that’s helpful! Hi Sarah, yes I tried Now too and was succesful, so easy! but we have a dedicated server hosting on my workplace so I need to use that one. Also, I’ve done a lot of googling about this issue. I’m using worpress as a rest api, so in my vue project I do async calls to fetch the info about the posts. Once I get this info I update the metatags on the page. But naturally, the facebook crawler does not wait until my async calls run, so I cannot get a proper preview of the post when I paste the link on facebook. I did comment this on an issue on the vuejs repo, and got a response from Evan You himself! He recommended pre rendering (wich will not work in my case, because I have hundreds of posts) or SSR, wich I’ve been looking into for a while now. I just wanted to give anyone a heads-up if they encounter any issues related to ES6 syntax issues when running npm run dev. I suspect through some combination of a recent OS X update and my path vars in oh-my-zsh, my machine reverted to using Node v5.0.0. Which doesn’t support various declarations found in the Nuxt/Starter codebase. TL;DR: error city related to syntax in Starter when running npm run dev? Check which version of Node you’re using ($ node -v). If it’s v5.0.0 investigate upgrading with nvm! Yep, that’s right! Async/Await is used in Nuxt core, so you’ll need to be running a version of Node that supports it. I suggest v8+ because it’s a LTS release and supports Async/Await.